How we make your IT system a winner! We provide over 25 well specified Performance Services to fit any of your system performance needs! The Performance Services are arranged in seven Performance Service Groups. Each Performance Services Groups is focused on a performance theme. Individual Performance Services can also be selected in Performance Service Combinations. A set of individually selected Performance Services that together provide a test subscription. Sequences of Performance Services can also be selected in Performance Service Sequences. A range of Performance Services that together provide a performance plan. The group "Get started on performance" is our introduction to system performance. The objectives are to highlight the benefits of excellent performance in products. General information about the "Get started on performance" service group. A-1. Why spend time and money on performance? A-3. How to proceed with performance. Get a performance vision and strategy. The group "Get a performance vision and strategy" creates your visions and strategies for performance in new products or services. General information about the "Get a performance vision and strategy" service group. B-1. Get a performance vision. B-2. Get a performance strategy. Get prepared for the performance challenges. The group "Get prepared for the performance challenges" provides services for understanding, preparing, and planning implementation of your performance vision. General information about the "Get prepared for the performance challenges" service group. C-2. Get performance requirements in place. C-3. Get a performance implementation plan. Get the performance challenges solved. The group "Get the performance challenges solved" will ensure the best implementation of your plan for excellent system performance. General information about the "Get the performance challenges solved" service group. D-4. Performance test case design. D-6. Performance test evaluation and reporting. Get a Test Tool deal. The group "Get a test tool deal" provides our performance test tools on flexible conditions that will fit your business situation. Performance test tools are an important part of implementing the performance requirements and to get an understanding of the non-functional behaviour of a software product. General information about the "Get a test tool deal" service group. The group "Get test tool support" ensures the best results with the test tools. General information about the "Get test tool support" service group. F-2. Test tool user support. F-3. Test tool product support. F-4. MBC Gold support package. F-5. MBC Silver support package. 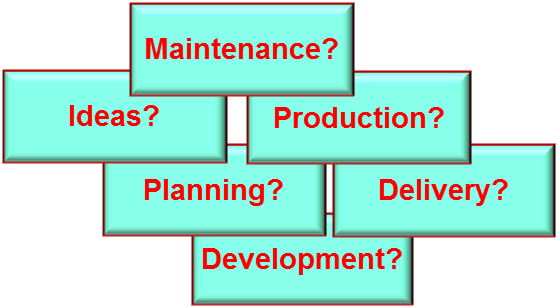 The group "Get maintenance support" provides performance services for software products or services in the maintenance phase. General information about the "Get maintenance support" service group. G-1. Performance test case storage and maintenance. G-2. Performance test site storage and maintenance. Individual Performance Services from the Performance Service Groups can be selected into Performance Services Combinations (PSC). The Performance Service Combination below is an example. There are many more. New Performance Services and combinations thereof can be provided upon request. The combination "Get a test subscription" is designed for recurrent regression testing of performance at maintenance of a product or service. A range of Performance Services from the Performance Service Groups can be selected into Performance Services Sequences (PSS). The Performance Service Sequence below is an example. There are many more. The sequence "Get a performance plan" is provides all services required to take your product from a performance vision to a performance implementation plan. The "Get a performance plan" service sequence contains fives services.